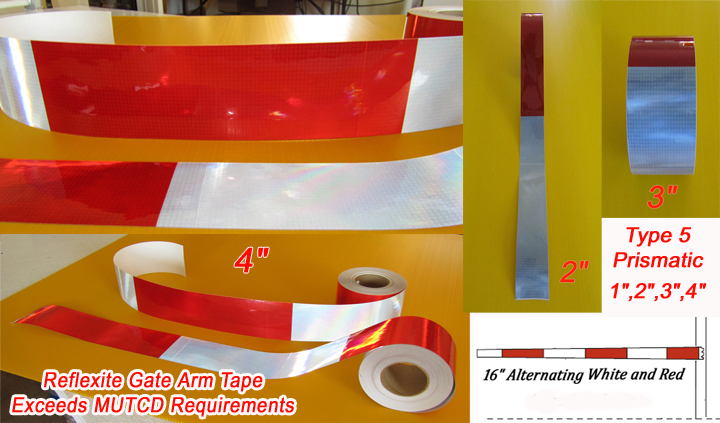 Our Reflexite Rail Gate Arm Prismatic Retroreflective Tape is a Type V prismatic reflective tape. It is designed for rugged, outdoor use in rail and other gate arm conspicuity applications. Sold in 150' rolls.